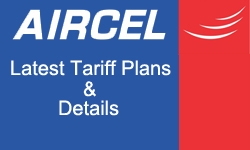 After Posting Other Networks Unlimited calling Plans, Today we will Share Aircel Rs. 249 Recharge Pack or Rs. 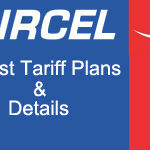 14 Plan where Any aircel users can enjoy Unlimited Calling For 28 days With Free 3g or 2g Internet data. In Rs. 14 Plan , Users can enjoy unlimited calling to any network For One day. Before we shared Reliance , vodafone , Airtel and other networks Unlimited calling Plans which Is launched Due to Reliance Jio Effect. We all know that Jio extended Their offer till 31st March 2017 Under Jio happy new year offer. So aircel Also Took this step and Finally Launched two Unlimited calling plans and Internet data pack Where User can enjoy by recharging their Mobile by Rs. 249 and Rs. 14. Jio is giving Totally unlimited calling to any network in India so Other Networks Vodafone , Airtel , Idea also Launched Unlimited Calling Plans in the range of Rs. 345 to Rs. 349. 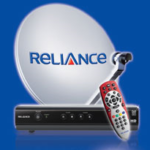 Reliance also Launched similar plan at Rs. 149 only. After recharging this plan you can enjoy Non stop Unlimited calling to any network in India for 28 days. If you are thinking is There Any limit ? So we tell you one thing this is Unlimited plan no any Minutes Limit or restriction Like old plans. Recharge your aircel sim by Rs. 249 and Enjoy unlimited calling Instantly to any network operator Across India. You will also Enjoy Unlimited 2G Internet for 28 days. But if you have 4g handset then You will get 1.5 Gb 3g Data which will give you High 3g speed. This one day pack will provide You Unlimited calling to any Local or national Numbers in India for 24 Hours. In this pack You will not Get any Internet data. Just Visit Paytm , Freecharge , Mobikwik or open if You already Installed. Login or Register If already then Skip this steps. Enter Amount Rs. 249 For Full Month Unlimited Calling and Internet or enter Rs. 14 For one day. Proceed , Enter promo code if you have any. 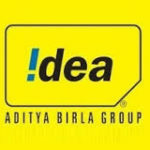 Complete Recharge by Paying Money by any online method. Done ! Once your recharge will be Completed and activated You will Get Sms from Aircel. If you Searching For Unlimited data packs of aircel then Check Our previous Article Where plan is start from Rs. 9 only. Airtel Also Offering unlimited azadi offer where also unlimited plans is available. If you don’t wants to Recharge Your sim For using Internet In aircel then Check Free aircel internet trick Just you have to Follow steps correctly to use it or Download aircel app to get Free 100 Mb. Discussion on "Aircel Rs. 249 or Rs. 14 Plan Offering Free Unlimited Calling + Internet Data"
I will recharge 249 unlimited calling to any network & unlimited internet of 2g but we have never get the benefits. aircel v lootne lage. Rs 249 recharge unlimited call plan nahi hai, iski validity sirf 15 din hai. weekly less than 1200 minutes ki hai.per day 300mints. Aircel 249 offer bekar he.is me unlimmited call nehi miltahe.compny boltahe unlimmited but o limited atahe.. sale chooorrr hai ………………. Sabse badi fraud company hai aircel dosto bilkul recharge na kare 249 se main to bolta hu isase acha to jio hai net to chalta hai vo bhi free..249 pe 28 days unlimited batake per day calling limit hai 150min and internet to pakadta he nahi upar se customer care vale nhi worst hai is company ke call he nahi uthate. Msg came from aircel recharge 249 unlimited voicecall any network. I recharged 249. But there was no unlimited. Then I speak with customer care, he told that only 800 minutes for one week. So the Msg is lie. So give msg for customers clearly. Don’t cheating aircel to customers. 249 unlimited call others network nehi ha.cheat ha ye.fake news.frad company.249 me sref 1500 min others network free ha.data 1gb 2g network pe.100%frad company.